I’m reading a lot of business books at the moment – strategy, marketing, sales & psychology. The latest is putting the WHY into our business…. in developing our strategy, we should Start with Why. For me it’s about improving the environment. 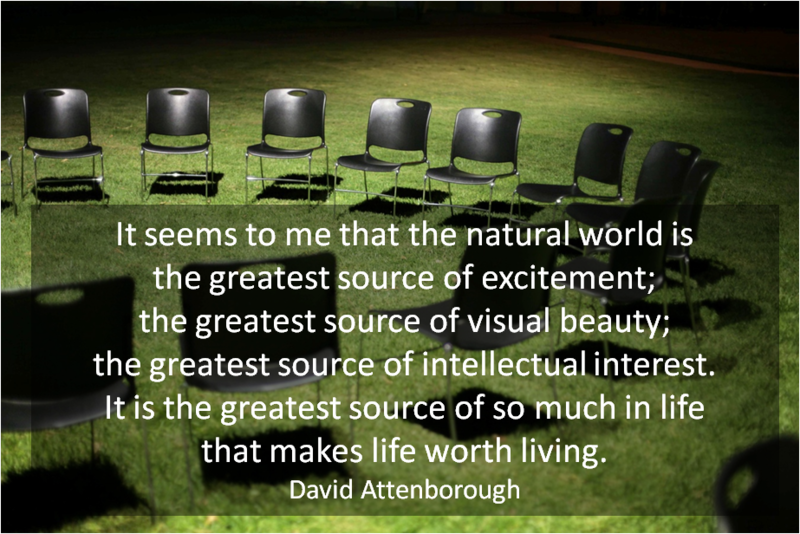 I was mesmerised by the wonderful David Attenborough when I was a kid. I knew it was my calling – to improve the environment … & to make a living out of it! – Diverse ecosystems – beautiful places to visit & of course to live. – Healthy air, healthy people. – Fabulous plants & creatures. – You don’t have to travel far & wide to see beautiful things. The world is an amazing place & we all have to look after it. My consultancy Eshcon puts the environment at the core of business. Indeed it is my mission to make environmental management the business norm. I didn’t want to change the world by being an environmental campaigner. I wanted to do it in more pragmatic manner – by appealing to people’s own core values: health, happiness, prosperity for them, their family & their business. Actually being a ‘normal person’ makes it easier to talk to other normal people about the environment. I don’t tell them all to give up their cars completely or go vegan – if everyone does something, it’ll add up to significant change. So I work with my clients to put in Environmental Management Systems, carbon reporting & engage with staff, so that they become more efficient, reduce risk & win new business. They see the commercial benefit of doing so & the environment (also) improves. They will spread the word of what they’re doing to others… and those people will too. You can’t stop the spread of success! So that’s why I am here. And I LOVE what I do.